NEW YORK (Reuters) - U.S. stocks closed more than 1 percent higher on Wednesday after Senate leaders said they had a deal to reopen the federal government and raise the debt ceiling, which would avoid the threat of a debt default. U.S. Senate Majority Leader Harry Reid and Senate Republican leader Mitch McConnell said senators had come to an agreement that will reopen the government through January 15 and raise the debt ceiling until February 7. The House of Representatives planned to vote on the measure later in the day. The day's gains brought the S&P 500 within a few points of its all-time closing high of 1,725.52 on September 18. Volume has been below average, however, as many investors stayed on the sidelines until a resolution of the fiscal issues was official. 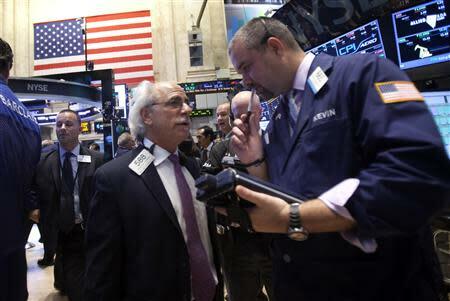 "It looks like we'll get through this, which brings the market a bit of a reprieve. Not only is this a relief rally, but we're still in an environment with a very accommodative monetary policy, which provides a tailwind," said Judy Moses, portfolio manager at Evercore Wealth Management in San Francisco. 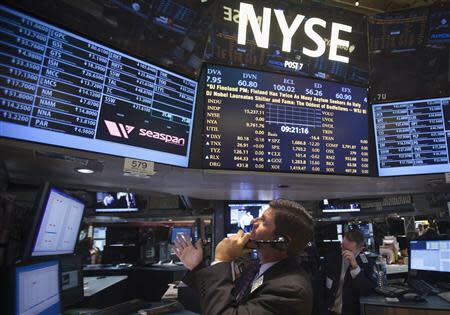 Gains were broad, with all 10 S&P 500 sectors solidly higher, led by financial stocks <.SPSY>, which rose 2.1 percent. Other groups tied to the pace of economic growth, including energy <.SPNY>, also jumped. Crude oil rose 1 percent while gold was essentially flat. In another sign of easing concerns, the CBOE Volatility index <.VIX> sank 21 percent in its biggest daily drop since August 2011. However, the index remains up about 12 percent over the past four weeks. About 78 percent of stocks traded on the New York Stock Exchange ended higher while 69 percent of Nasdaq-listed shares closed up. After the market closed, IBM reported earnings that beat expectations but revenue below consensus, sending shares down 6 percent to $175.56. Online auction site eBay Inc fell 4.5 percent to $51.10 after a disappointing sales forecast for the holiday season. American Express Co reported a 9.3 percent rise in earnings after the bell on Wednesday, but shares were flat in extended trading. The Dow Jones industrial average <.DJI> was up 205.82 points, or 1.36 percent, at 15,373.83. The Standard & Poor's 500 Index <.SPX> was up 23.48 points, or 1.38 percent, at 1,721.54. The Nasdaq Composite Index <.IXIC> was up 45.42 points, or 1.20 percent, at 3,839.43. While the issues in Washington continued to be the market's primary driver, analysts said the focus would likely turn to the third-quarter earnings season. "In general, revenue growth has been challenged, and especially in technology shares there's been low revenue growth," said Moses, who helps oversee $4.7 billion in assets. With 11 percent of S&P 500 companies having reported, about 57 percent have topped profit expectations, below the historical average of 63 percent. The number of companies topping revenue forecasts has also been below the historical average. Investors will be closely watching for any sign that the government shutdown and debt ceiling impasse had a negative impact on results or forecasts. David Joy, who oversees about $703 billion in assets as chief market strategist at Ameriprise Financial in Boston, said he expected political uncertainty to erode earnings expectations. "To me the market has yet to reflect the reality of the economic damage and the psychological damage this has done," Joy said. "I think it's awfully aggressive to think fourth-quarter earnings are going to be up 9 percent, given the shutdown ... my instinct is to sell into this rally." In its Beige Book report, the Federal Reserve said U.S. growth continued to chug along at a "modest to moderate pace" in September and early October, providing the fullest update on the economy since a government shutdown halted publication of most data. Intel Corp's revenue outlook missed expectations and the Dow component warned that production of its upcoming Broadwell processors was delayed. 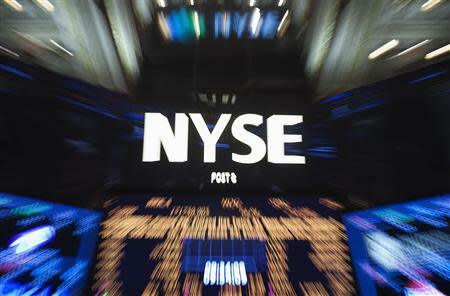 However, shares rose 1.3 percent to $23.69 as the stock participated in the broad market rally. Bank of America Corp swung to a third-quarter profit as provisions for credit losses fell. Shares rose 2.2 percent to $14.56. Shares of Yahoo fell 0.9 percent to $33.09 a day after the company took down its own forecast for the full 2013 year, trimming the midpoint of its net revenue guidance from $4.5 billion to $4.425 billion. J.P. Morgan Chase & Co will pay $100 million to settle charges for the "London Whale" trading scandal, the Commodity Futures Trading Commission said on Wednesday. Shares of the Dow component rose 3.2 percent to $54.